Toronto's west side has another pizza joint to flock to when you just can't wait an hour to eat at Pizzeria Libretto. Vinny Massimo's across the street has so far been my personal greasy late-night favourite. 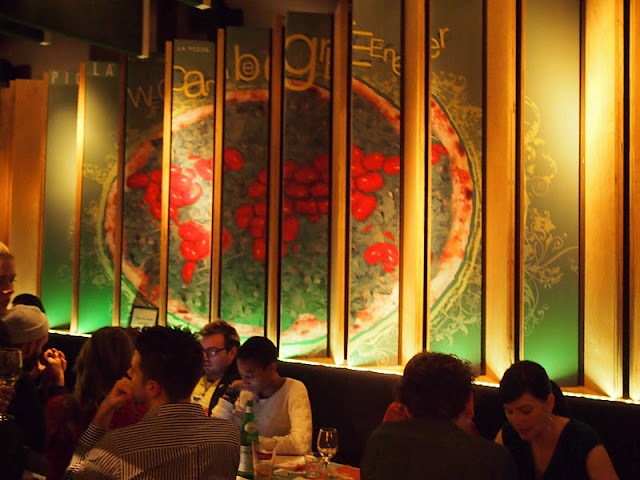 You can consider Piola to be the hip + elegant cousin from Italy. I think there's room for both on the Queen West strip and I still question how the Pizza Pizza further down Queen is still in business. We had a chance to attend Piola's launch party earlier this month and sampled a few of the offerings from their extensive pizza menu. 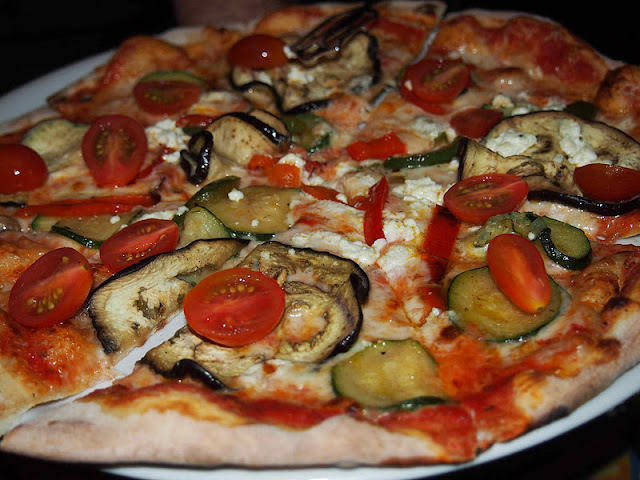 Ortomisto Pizza ($14) with little mozzarella, goat cheese, grilled veggies and cherry tomatoes is an easy way to get your vegetable fix. The crust is thin and charred, but not too flimsy that the whole slice falls apart when you pick it up. I was really happy with the choice of toppings available and the chewiness of the crust. They don't over-top the pizza here to compensate for anything, which is great because that tends to weigh the whole pie down or the juices from too many toppings runs everywhere. 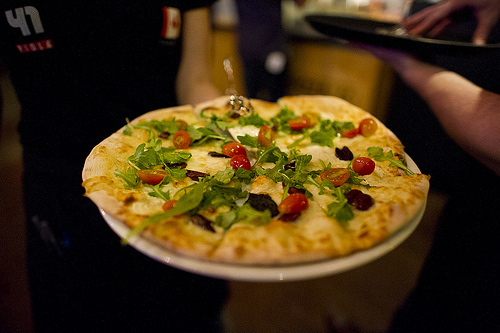 Sparta Pizza ($14) is made without tomato sauce and with mozzarella and goat cheeses, topped with black olives, arugula and cherry tomatoes. Piola offers 24 different pizzas on their menu, along with a selection of pastas and homemade sauces. 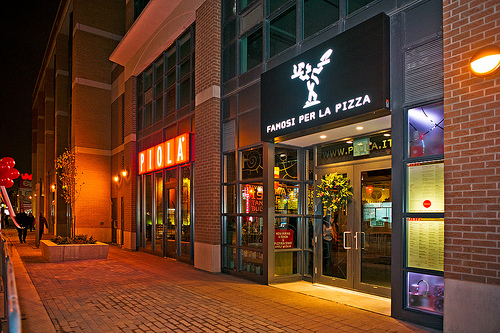 The Toronto location is the first Piola in Canada, located on the ground floor of The Bohemian Embassy condos. The chain features one location in Treviso, Italy and international outposts in Brazil, Argentina, Chile, Mexico, Turkey and Honduras. Capricci di Lasagne ($9) is a duo of lasagnas - vegetable with savoury mushrooms (right) or bolognese (left). I was a bigger fan of the meat lasagna. 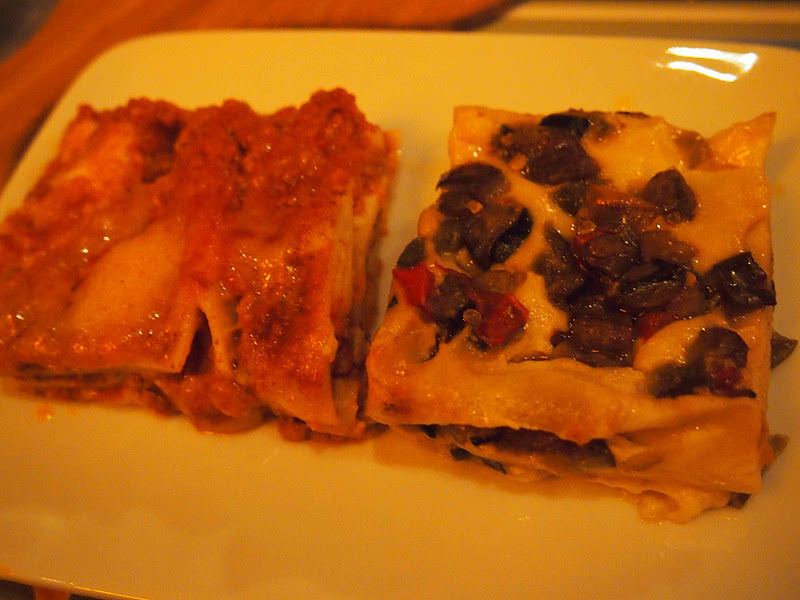 I love mushrooms, but not all over my lasagna. Feeling lucky? The 29th of every month is lucky gnocchi day - $14.99 for all-you-can-eat homemade gnocchi. 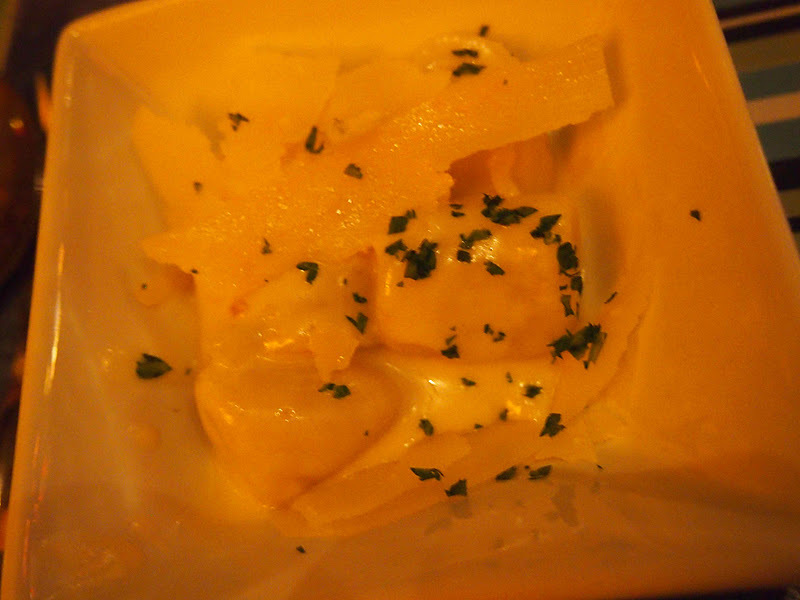 We sampled the Gnocchi 4 Formaggi ($14, above) with a four cheese sauce. Though I'm not sure how much I could eat in one sitting - the gnocchi is tasty but extremely filling. Our antipasti starter - Piatto del Contadino ($9.50) features salami casalingo, thick chunks of Grana Padano cheese, a green sauce, pickles and bread. 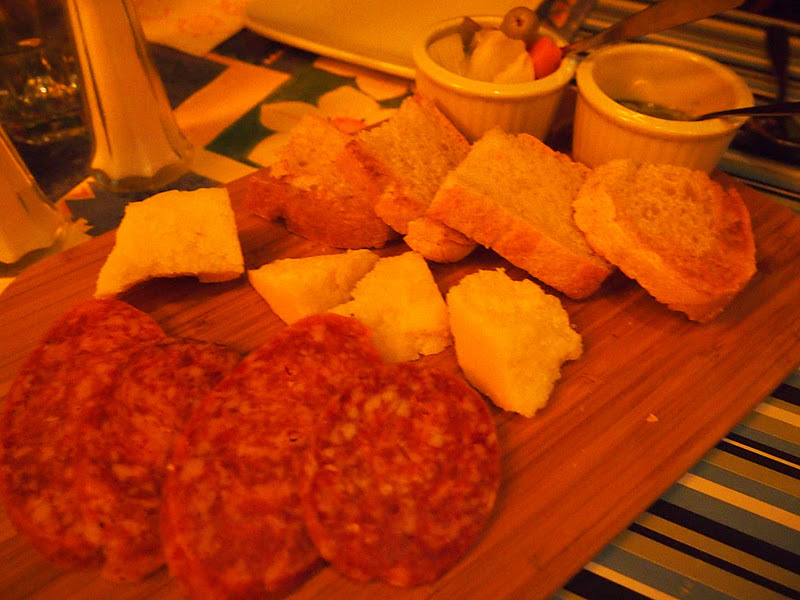 The favourite of the night was definitely the warm Polenta & Ragu ($9) that we spread thickly on crusty Italian bread. Order this hot soft polenta with rich bolognese sauce and melted parmesan cheese. We devoured it so quickly that it didn't make the photo cut. 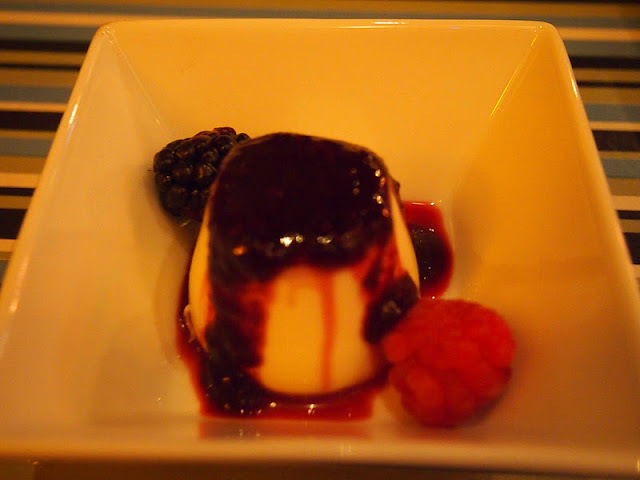 My personal favourite, creamy and light Pannacotta topped with homemade fruit sauce ($7). It was the perfect portion size and a nice light sweet finish to a hearty meal. Torta Nera & Gelato comprising of rich chocolate cake with vanilla ice cream ($7.50). Probably a must if you are a chocolate lover. 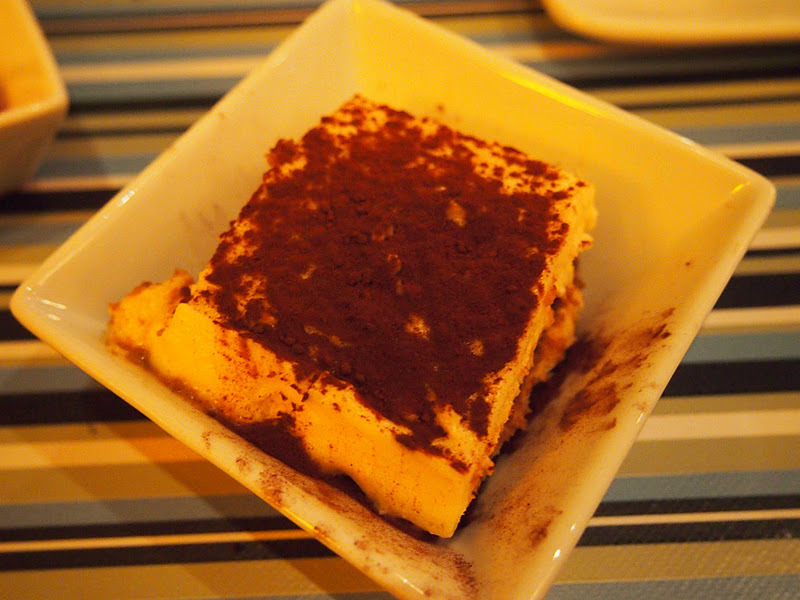 Tiramisu with Ladyfinger biscuits, mascarpone cheese, coffee and dusted with cocoa ($7.50). 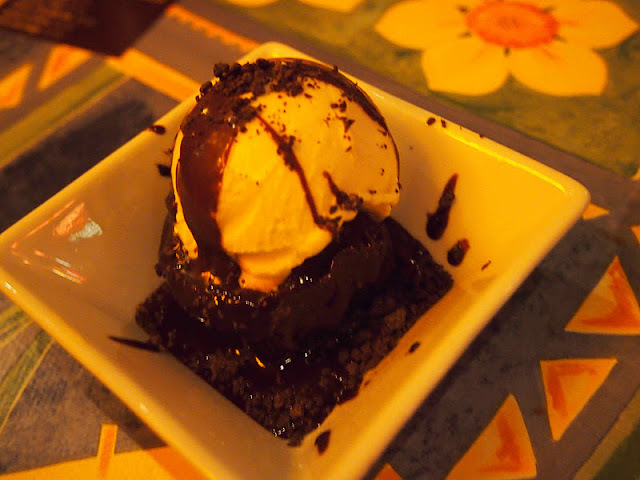 All of Piola's desserts are homemade and deserve a nice hot coffee to go with. 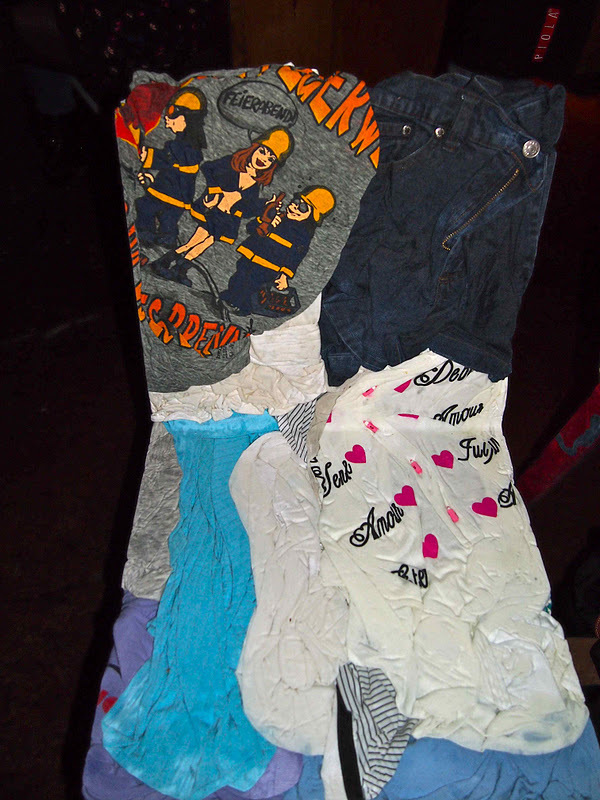 Piola features unique chairs made from a crazy mash-up of recycled t-shirts and jeans. Sort of like sitting on someone's laundry, though not as soft as you think. The restaurant also showcases the work of local artist, Matthew Merrett. Lots of seating and warm ambiance next to the hot stone oven (above). 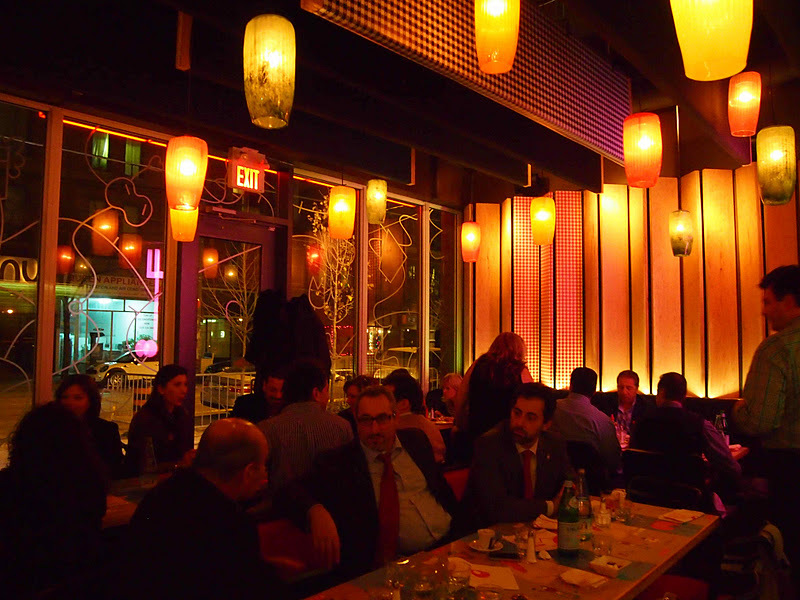 I would definitely go back to Piola again. The pizzas are fresh and the crust is done right. Prices are fairly reasonable too with a pizza starting in at around $13 for the basics. I also live close by, so it's a nice easy casual dinner spot to take visiting friends. 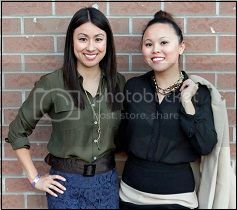 Nice article - but the photos are far too yellow. Should be a lighting setting in it called Tungsten that will brighten any dark food shot without a flash! What I might do is borrow my sister's Canon Rebel to shoot food inside restaurants. I find that even on the auto setting, this camera works better in low light. I'm going to use my Olympus Pen to shoot when I travel since it's more compact. Though, I'm going to see if it has that Tungsten setting on it to help. Do you shoot a lot of food photos at all?